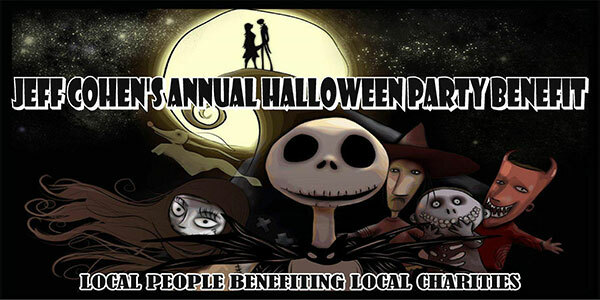 Our 20th Annual Halloween Benefit, featuring the music of both DJ Gene DuPuis, and the local band "Shattered" as well, Get your best costumes ready, and come enjoy the night, see old friends, make new friends, and all while helping a local family. We have raised over 40.000 the past few years for local families who have suffered a loss, and this is only possible due to the sponsors, the donors for auctions/raffles, and of course you, all our friends and guests for the night who make this possible! We are still planning, tweaking, adding (if you have been to any of our signature events you know they are always over the top and detailed) but we want to start to share a bit! Over 50 trophies! Categories include: 2000+, 1990's, 1980's, 1970's, 1960's, 1950's, 1940's, 1930's, 1920-, on road jeeps, off road jeeps, sport motorcycles, cruiser motorcycles, Rat Rods, Fast & Furious/imports, 1/2 size pickup, full size pickup, Overall Best of Show, Overall Best Paint, Overall Best Modified. Each category has 1st, 2nd, and 3rd places! The award show takes place at 1pm, don't miss it! We are going to have Dj Gene playing music, Foodzilla food truck, games, face painting, 50/50 raffle, free giveaways including flat screen TV's, and much more! Interested in becoming a sponsor for this event? Fire up your flux capacitors, because the JCC Foundation is taking us Back to the 80's this July! Prepare yourselves for a night of nostalgia featuring a cash bar, raffles, games, 80's trivia, and a live DJ/VJ playing all your favorite 80's dance videos on the big screen! Dress up like your favorite 80's character - the DeLorean counts as a character, right? - and win a prize for best costume! And by "best" we obviously mean "raddest." The event will take place at the Plymouth Radisson Hotel on Saturday, July 11th from 7:30pm to 12:30am. Tickets are $20 in advance. For ticket info, contact Jeff Cohen Charitable Foundation at 508-317-9844 or To The Max Events at 508-951-7892. Portion of proceeds to benefit Plymouth July 4th Fireworks. Our first New Year's Eve ball took two years to plan! Memorial Hall was transformed into a palace, complete with ice sculptures and a red carpet entrance to the building. Our guests' arrival was announced by heralds with horns. As you entered our enchanted realm you were greeted by our many volunteers and directed to the silent auction in the upper blue room. The auction featured close to 100 items donated by local businesses and supporters. Entertainment was provided by three violinists. We had a cash bar as well as passes hors d'oeuvres, and a lounge area designed like a living room. Our main ballroom featured dancing to a ten piece band from New York with a complete horn section, violinists, and four lead singers! Food, provided by Sysco and their master chefs, was simply amazing! We celebrated the New Year with a champagne toast served in commemorative glasses, while glistening confetti exploded from the stage as the clock struck midnight, making it a magical moment in time! Amidst all the fun and companionship the evening offered, we also raised $23,000 to donate in our very first year! Stay tuned for details for an even bigger and better event next year! One of his more recent fundraisers was Jeff Cohen’s 18th Annual Halloween Party Benefit, held at the Radisson Hotel in Plymouth, 2014. The turn out was a great success and all of the proceeds went to a local woman whose husband had recently passed away unexpectedly. She has 2 children to take care of and was in need of a helping hand. With the success of the benefit, we were able to make a significant donation to that family. Between 2000 and 2007, Jeff raised money for the Boys & Girls Club through putting on an annual Valentines Day Ball. Not only was it fun for kids and adults alike, it was quite a success and all of the proceeds were donated to this wonderful organization that helps children learn and grow to their fullest potential every day.